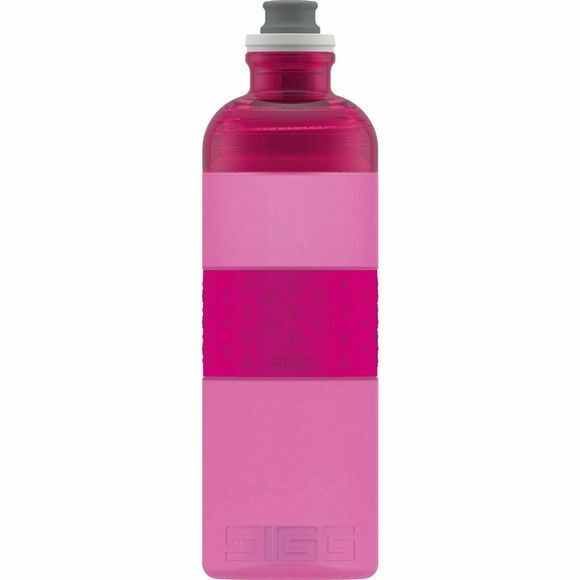 With the Hero Bottle 0.6L from Sigg, it’s clear to see what drink quenches your thirst during sports. And the bottle is well worth looking at: The innovative cap can easily be opened and closed using your mouth – the drink is only released by pressing the bottle, even upside down, allowing you to control the amount of liquid as desired. The silicone grip guarantees a firm hold at all times. Whether it’s while jogging, climbing, on the mountain bike or simply at the gym – this extremely light drinking bottle quickly becomes indispensable for sports enthusiasts. The bottle is made from polypropylene and is free from estrogen-mimicking substances, phthalates and other harmful chemicals – for safer drinking enjoyment.